How to connect my LCD module to the board? It’s a simple way to connect your 16X2 LCD to ADB40 Board. You do not need cable to connect it to the board, because it’s 16×2 LCD socket already mounted on the board. 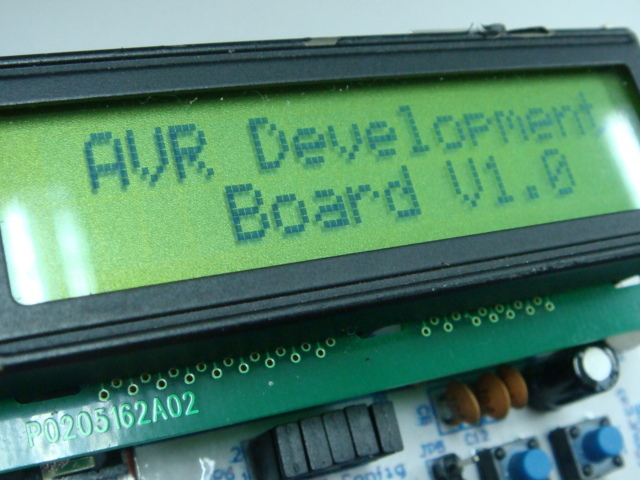 You need a 1×16 header to solder to the LCD module, or you can see the picture below. Then install the LCD module to the board, and now you can start to write your code. The code is written in BASIC using BASCOM as compiler. And as you know, BASCOM have some functions to permit you to operate the LCD module easily.